Our Christmas Service took place in Crowcombe Church and was led by our very capable Year 3 and 4 pupils. We had poetry from Reception, the Nativity in pictures and words from KS1, mantras for a better life from Class Three, and Christingles from Class Four, as well as a feast of music and song from the congregation and choir. We ended the service with our termly awards, given to children who have made great progress in their learning or a special contribution to school life. 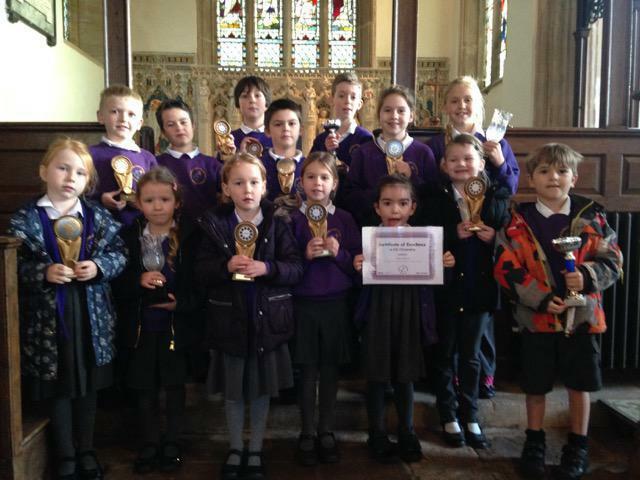 These are very special awards - well done children!